corten house. | owl's house london. I first came upon the architecture of John Winter (1930-2012) three years ago, experiencing it first hand in a beach house he owned on the north east Norfolk coast (you can stay there too; details, here). Inspired by Charles Eames’ west coast cabin (he worked with Eames when he moved to San Francisco early in his career), he designed and built the house out of renewable timber, steel and aluminium. 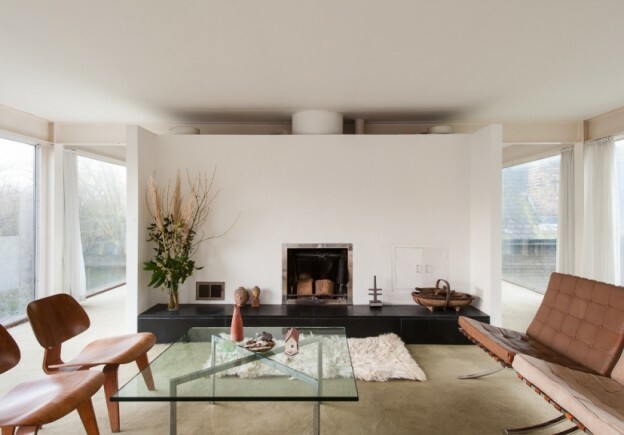 It is the simplest of plans being rectilinear in form, with windows running along both of the long sides, and my favorite of all interior spaces – a sunken lounge. 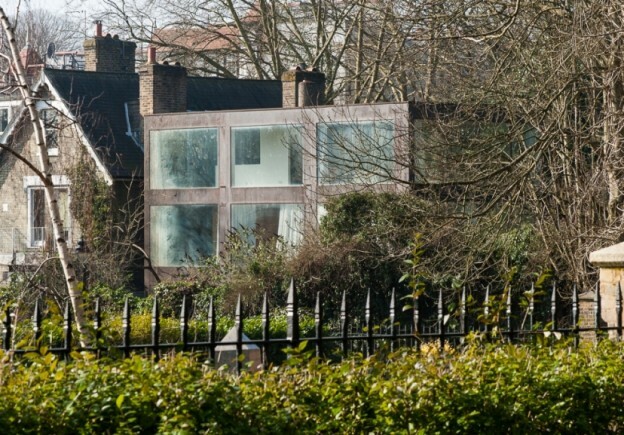 The subject of this post however, is not that house but this one, in Highgate, North London. 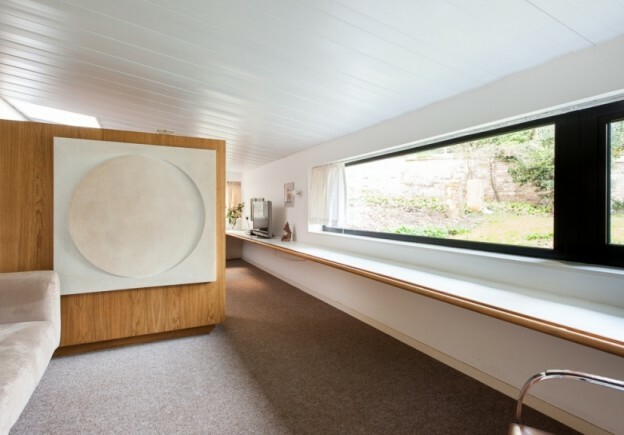 Built in 1967 by John Winter for his own use, this is a wonderful, proper modernist house, given a rare Grade II* listing by English Heritage: ‘This is a highly influential and unusual house in its structure, materials, plan and aesthetic. It is still a model for minimal housing, as influential today as it was when it was built’. Constructed around a steel frame, the house has huge double-glazed picture windows that flood the interior with light. 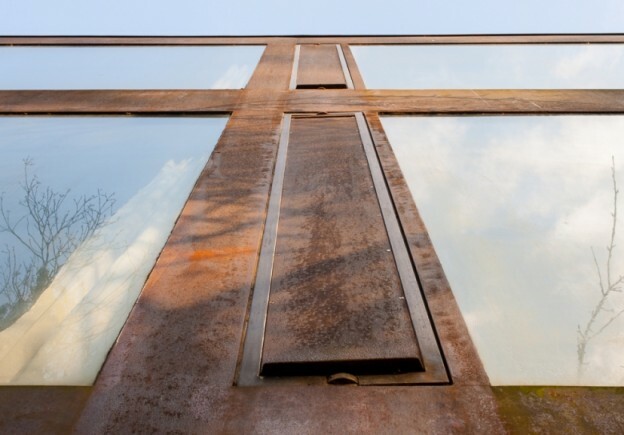 It is clad in Corten, a steel alloy that weathers naturally to a beautiful dark rust colour. This was the first domestic use of the material in Britain, and the proportions of the house and grid were designed around the dimensions of the standard, factory-produced Corten sheet, so that nothing was wasted. 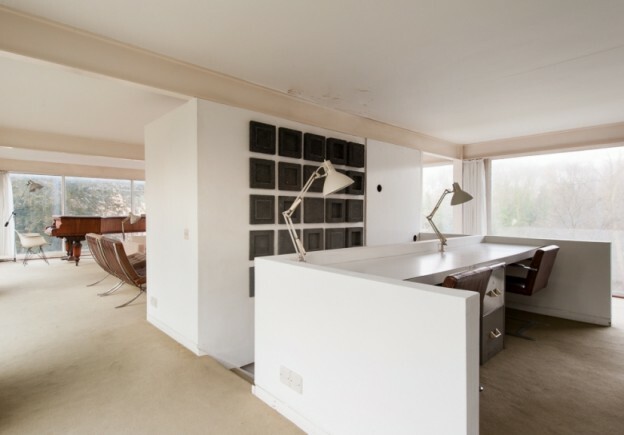 It has three floors with, unusually for the time, the living room on the top floor, to take advantage of the views over the utterly charming Highgate cemetery and Waterlow park opposite. 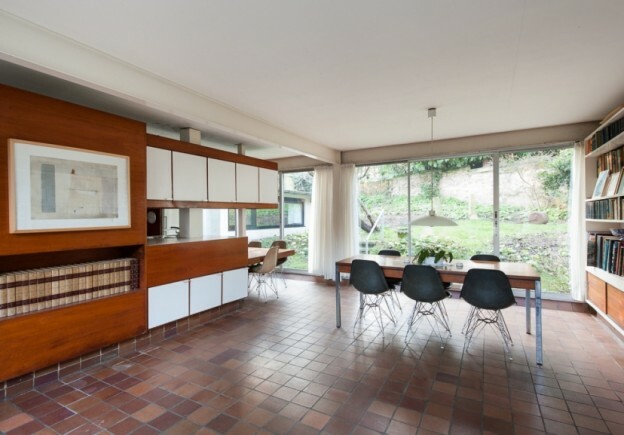 The interior is all original – kitchen, built-in storage, quarry tiles. The long, low linear shelf which runs the length of one wall is a detail he used often. 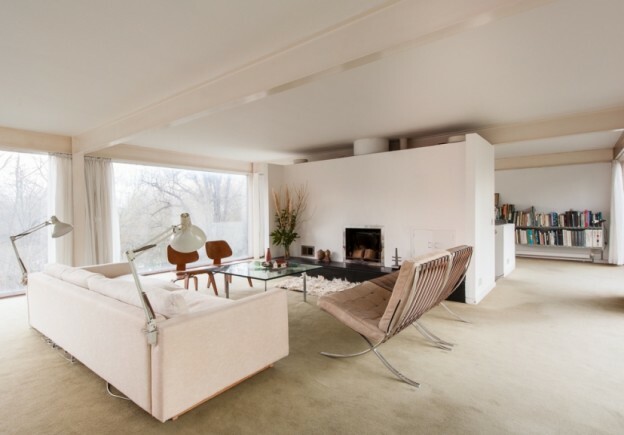 And there is, of course, fabulous original furniture – Barcelona arm chairs and coffee table, and Eames’ LCW wood lounge chairs and ubiquitous (but no less than fabulous) DSR chair. It’s for sale, and sadly, I won’t be buying it. Corten house via The Modern House. More wonderful spaces, here. More design heros, here. This entry was posted in design heros., wonderful spaces. and tagged architect, architecture, Charles Eames, Cor-ten, corten, John Winter, Modernist on March 18, 2013 by owls house london.. I always learn a little something new in the modern design world from you. I did not know of John Winter. His homes are stunning. Oh how I wish I could afford that home as well! What a dream! Pingback: off to the beach. | owl's house london. I remember visiting this house for one of Val and John’s fabulous dinner parties – what a wonderful place it was, matched only by the warmth of hospitality shown by the owners – one of the sweetest couples I ever met. I like the cozy sleekness.